Day 2 : It’s time to enjoy Belitung Exotic Islands. After breakfast, we’ll go to Tanjung Kelayang which is the gate for Island Hopping. Using traditional boats, we will take you to smaller islands with their pristine beaches. The first spot that we will see is Batu Garuda (Rock Garuda). Then we will visit Pulau Pasir (Sand Island), Batu Belayar Island and Burong Island. We continue our journey to visit snorkeling spot near Lengkuas Island. 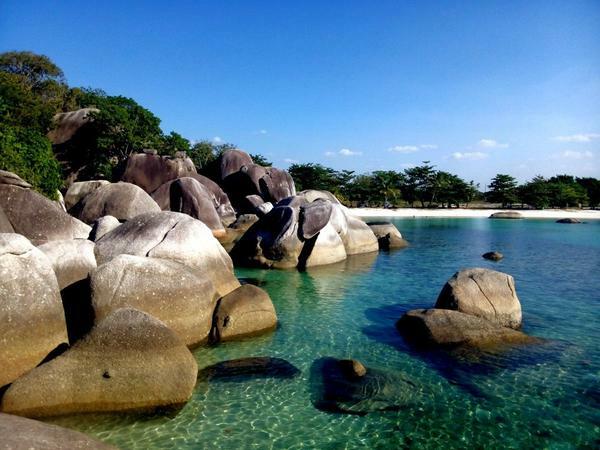 Take your time to enjoy Belitung Under water around the area. After that, we stop-by in Lengkuas Island which is famous for its old lighthouse that has been using until now. We continue our journey to Kepayang Island. It’s a place where we’ll get our lunch accompanied by selections of drinks: tea, coffee and fresh Coconut Water. We can see turtle sanctuary and coral planting on this island as well. Then we will go back to Tanjung Kelayang. Next stop will be Bukit Berahu Beach where you can enjoy one of the places to enjoy stunning sunset in Belitung. Back to hotel to prepare for 2nd dinner in local restaurant in Tanjung Pandan with Belitung Specialties. Day 3 : After having a breakfast and check-out from hotel, we will take you to Tanjung Pandan Museum and a Mini Zoo, buy souvenirs and snacks, Belitung Traditional House and Lake Kaolin. Then we sadly have to take you to the airport for your next departure.